You are here: Home>WW1 History>How did World War One start? 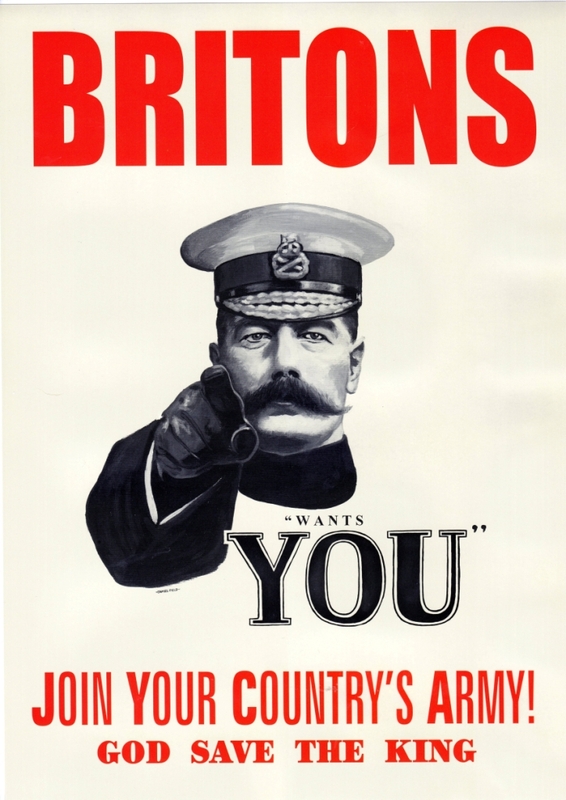 This famous poster showing Lord Kitchener was not actually as widely used as previously thought. On 28 June 1914, the Archduke of Austria-Hungary, Franz Ferdinand, was assassinated in Sarajevo, Bosnia. He and his wife Sophia were shot and killed by a group called ‘The Black Hand’ which was made up of Serbian nationalists. The Serbs believed that Bosnia belonged to them, not Austria-Hungary. As a result of the assassination of Franz Ferdinand, Austria-Hungary declared war on Serbia. This started a chain-reaction across Europe with Germany and Austria-Hungary being pitted against Russia and France. Germany’s plan was to quickly defeat France and then go east to fight Russia. The easiest way into France was through Belgium, this is what brought Britain into the war. Britain had an old agreement with Belgium, promising to protect it from Europe’s more powerful nations. After Germany invaded Belgium Britain declared war on 4 August 1914.